To hit consistently good golf shots, you have to be in the "slot" from backswing through impact. In the following pictures I have drawn two lines to help identify the location of the slot. One line is on the shaft plane and the other is what I call the "Hogan" plane. The shaft plane is simply the angle of the shaft in the set up position. The Hogan plane is taken from the book "Five Lessons, The Modern Fundamentals of Golf" in which Ben Hogan demonstrates the plane using a line drawn from the top of his shoulders to the golf ball. The "slot" is the area between these two lines or planes. On the backswing, keep your hands, arms and club in this slot. If you get above or below these two lines on the backswing, it is very difficult to hit good shots without a great deal of manipulation or re-routing of the club. It requires a blend of body turn and arm swing to get in the slot on the backswing. In other words, if you swing your arms too much up and down with no body turn, you will be above the top plane. This causes you to be too steep coming down and the result will be deep divots and inconsistent shots. On the other hand, you could have too much body turn and not enough up and down with the arms and the result will be shots hit thin and usually to the right of target. There are a small number PGA TOUR players that play quite well that do not stay in this slot on the backswing. But, they recover and hit fantastic shots because they are naturally gifted and can make the necessary correction to be in the slot on the downswing. 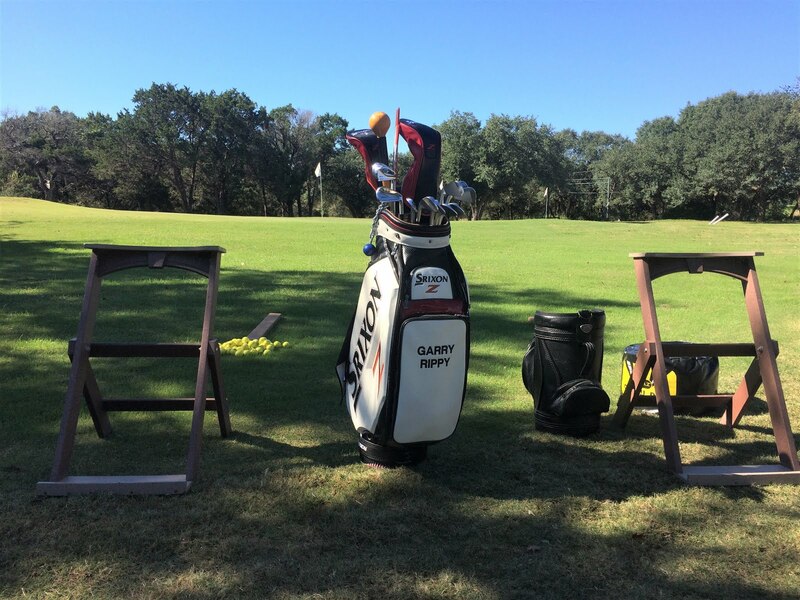 Plus, they hit thousands of practice balls to groove their own swing. If you look at the swing of any top player, you will find it true they are in the slot on the downswing. To get in the slot on the downswing, you have to feel like you start your downswing with a slight shift of your weight to the front leg and then turn your front hip out of the way. In the above picture, my hips are turning to the left, but notice how my chest is still facing the golf ball. If I let my chest "open" or swing to the left too soon, I would be "over the top" and either pull the ball or slice it to the right. At impact, the club should still be in the slot. Notice how the club has returned to almost the same angle as it started in the set up. Look how my left hip is turned to the left yet my chest is still facing the ball. As I move into the finish, you can see how my club is back in the slot. My chest has now caught up with the hip turn and my shoulders will out turn my hips at the very end of the swing. 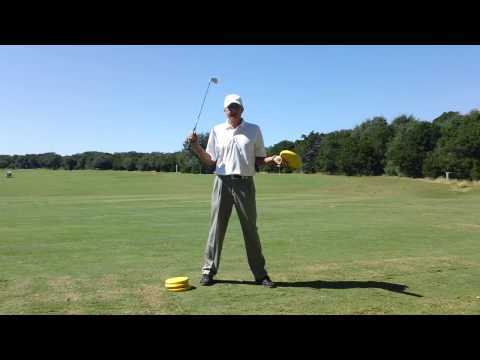 The best practice drill to help you ingrain the feeling of being in the slot on the downswing is what I call the "pump" drill. Without a ball, swing to the top of your backswing and pause. Then, feel your left hip start the downswing by sliding a couple of inches toward the target and let your hands just drop straight down about a foot simultaneously. You will feel your right elbow move into your right side. Repeat this move several times. Now that you have the correct feel, try hitting balls. Your swing thought will be to feel your right elbow dropping close to your right side on the downswing.